What happens when cockroaches are allowed to run free and aren’t taken care of? Something like the picture above. 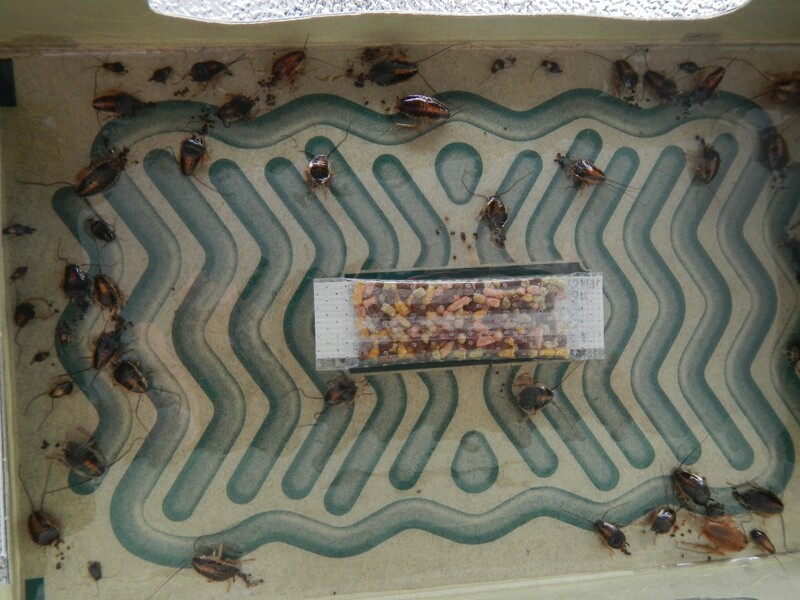 Well, actually, this picture of a trap full of German cockroaches was taken after the person had been trapping them for well over a month. Even scarier was that this was just one of many traps in their apartment that looked this way. If left to their own devices, German cockroaches can increase in number very fast and are very resilient. They can also carry a number of diseases and cause allergies. Even if you manage to trap the adults, they may have already laid the eggs and the above scenario will just repeat over and over again. Don’t let them get settled in your house. If you have roaches, please give us a call and we will take care of the problem before it ever gets to this point. In addition, the spray that we put down puts a barrier around your home that will keep them from getting into your house. Auburn Pest Control– How to identify a Black Widow Spider.